Are you a beginner or fresher in Blogging Industry? If 'Yes' then you are most welcome on our blog Tips2secure.com, which will guide you A2Z of blogging. Well, this 'Getting Started' page is specially designed for newbies or the persons who are very new in blogging and don't know anything about blogging but want to start blogging and earn some money. Example: You are reading this article on Tips2secure.com, that is a blog. 2. After Login, you will find a option to create a blog, click on that. 3. Choose title for your blog. 5. Select template and click on Create blog. 6. Your blog is created now, you can use the Url which you have used to create blog. 7. Now there you will find a option to Start posting, click there and start writing your own contents by adding title and message body. Click on Publish and now you can see your post on your blog. Custom domain looks more professional. These are paid domains and you have to buy by paying money and also you have to pay for renewal every year, but cost is as low as approx 10 USD per year. After using custom domain your domain will be replaced by .com, .net or whatever you will choose. It removes blogspot.com but still posting and all the settings remain same and unaffected by adding custom domain. If you manage to invest, only then go for custom domains or simply start blogging by using free ones provided by hosting provider. 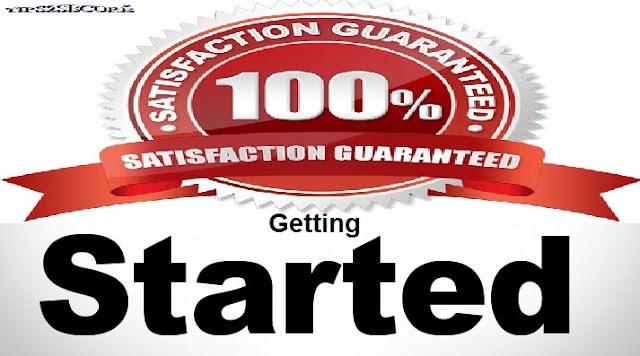 Once, you start getting earnings or able to buy the you can buy custom domain for your blog. There is no boundation or compulsion to buy custom domains. You can grow yourself even on free domains. Once you finally decide to go for custom domain, your next question will how to book that domain. Here again, there are lots of domain sellers. But we recommend only for Godaddy.com and Bigrock.in, because both are personaly used by us and their services are amazing. To book just open website by visiting www.godaddy.com or www.bigrock.in, search for your domain, add in cart that domain and pay for the domain. Now that domain is your's. Transfer your blog on that domain and start managing your blog as more professionally. If you face any problem in these basic steps, kindly let know our experts by commenting your problem, they will provide you the best solutions within 24 hours. These are basic keypoints for freshers to start a blog. After completing these steps, just go for advance tips for blogging like SEO, Promotion of Blog, SMO and many more and all you can find here on Tips2secure.com. Just navigate different pages and posts to learn all about blogging. 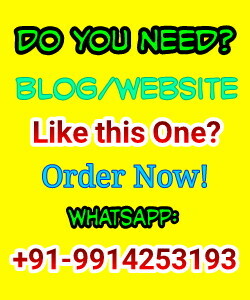 You can use Search option on our blog to find solution for your particular problem or question. Blogger or Wordpress which one is best? SWOT analysis of a blogger. Common mistakes made by bloggers. 5 Best SEO Tools for freshers.